Range Rover Evoque offers you many possibilities to personalise your vehicle and match your style by choosing from a wide variety of colours and options. This combined with the contemporary design and the unique silhouette will guarantee you’ll stand out in the city. Landmark Edition takes design to the next level. Available in three colours, Yulong White, Corris Grey and the unique vibrant Moraine Blue all featuring a Carpathian Grey contrast roof as standard. It also offers striking exterior Graphite Atlas trim and 19” 7 split-spoke ‘Style 707’ alloy wheels with Gloss Dark Grey finish. Every millimetre of Landmark’s interior is superbly created and crafted. Perforated grained leather in Ebony with a Lunar stitch and Dark Satin Brushed Aluminium trim finisher are just two examples of its refined contemporary character. The loadspace is a healthy 575 litres with the seats up on the Five-door vehicle, and 550 litres on the Coupé. Both models contain ample luggage room for the perfect weekend getaway or that last minute shopping trip. Cleverly configured, the Convertible tailgate has been developed to allow easy access to the loadspace and even has an optional ski hatch with arm rest. The loadspace capacity remains 251 litres regardless of the roof position and is able to accommodate a standard golf bag, or a baby buggy. The Meridian Sound System 380W with 10 speakers plus subwoofer delivers exceptional definition, crystal clear highs and full, deep bass through the careful arrangement of speakers. You can also upgrade to the Meridian Digital Surround Sound System, which produces 660W with 12 speakers plus subwoofer on the Convertible and 825W with 16 speakers plus subwoofer on the Coupé and Five-door. Your smartphone and vehicle can provide a wealth of information and keep you entertained. With the 10” Touchscreen’s Navigation Pro system and optional Dual View, the way ahead can be displayed as your front seat passenger watches a DVD. 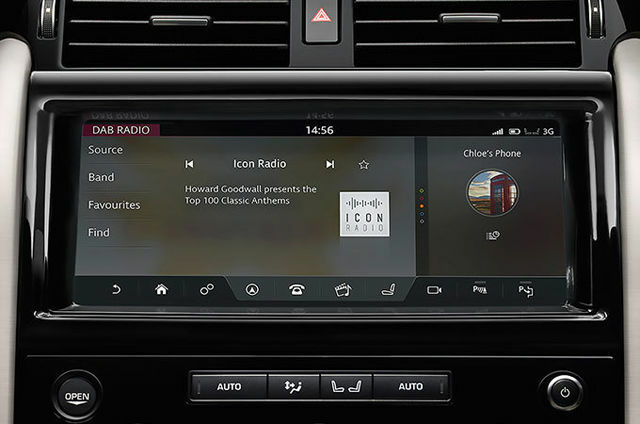 InControl Apps helps link your smartphone seamlessly to the system, allowing you to control compatible apps via the Touchscreen, whilst the Meridian™ Sound System plays your music. 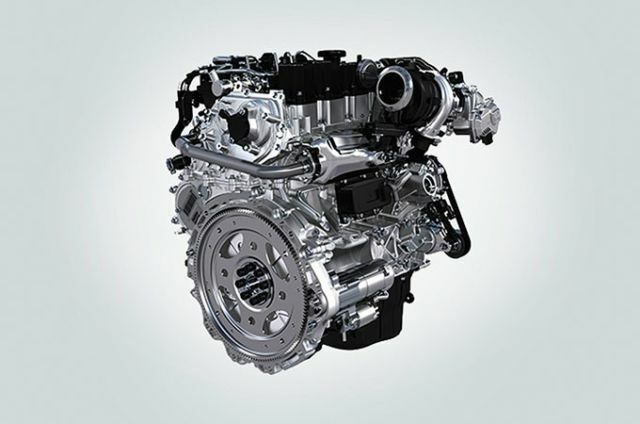 Delivering a sportier, more economical performance, the new 4-cylinder 2.0 litre Si4 Petrol engine has either a 240PS or 290PS output to provide maximum efficiency, performance and fuel economy through a Continuously Variable Valve Lift system in combination with variable cam timing. Diesel options are also available including the 150PS, 180PS and the new 240PS. Adaptive Cruise Control maintains a steady speed on those longer journeys maintaining a safe distance from the vehicle in front. Adaptive Dynamics delivers the optimum balance between ride and control whilst Torque Vectoring ensures smooth, controlled cornering. Together, they produce a connected, assured drive. Capability is in every Land Rover’s DNA enabling you to tackle the toughest terrains and conditions with greater ease. From Terrain Response to Hill Descent Control, our suite of proprietary technologies ensure you can feel as confident driving off-road as you do on it. 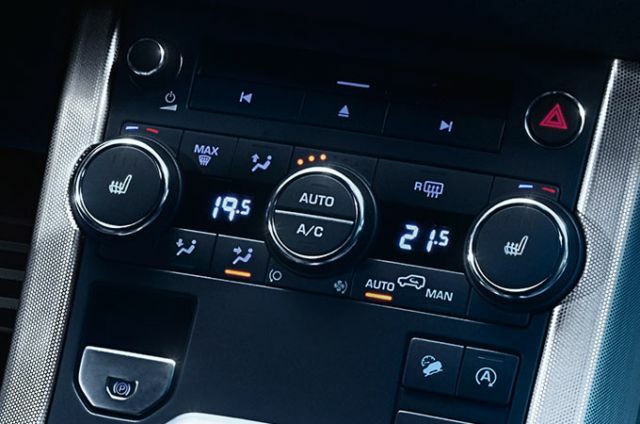 Our vehicles feature a range of the latest state-of-the-art heating and cooling systems to keep you and your passengers in absolute comfort. No matter what the weather throws at you, you can arrive relaxed and refreshed. 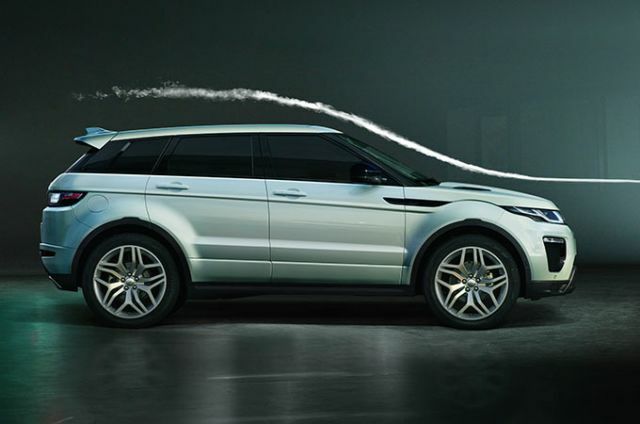 Get the conditions inside your Range Rover Evoque just right. Pre-heat the cabin or introduce fresh air with the optional Timed Climate, so it’s ready for when you get in. Heated and cooled front seats are also available and for the ultimate in comfort. Massage front seats (where available) allow both the driver and front passenger to select individual programmes via the Touchscreen. Open and close the tailgate with the least amount of fuss with optional powered gesture tailgate. 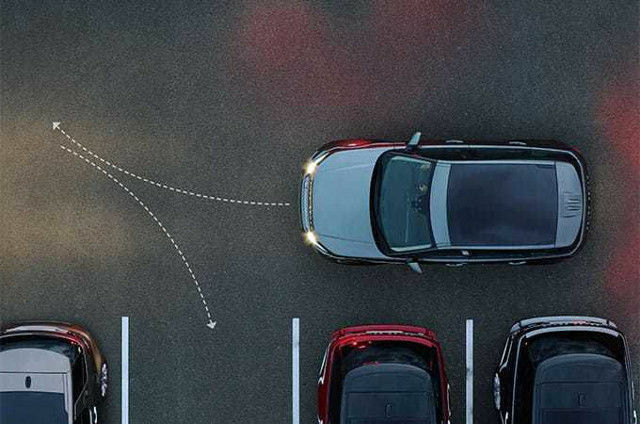 Once the smart key is detected, the tailgate can be operated by a kicking gesture underneath the rear of the vehicle. Sensors are mounted on either side of the vehicle to allow convenient kerbside operation. With the Terrain Response driving system your Range Rover Evoque will always feel sure-footed no matter what the conditions. Standard on all 4 Wheel Drive (4WD) vehicles, the driver can select from Grass, Gravel and Snow, Mud and Ruts, and Sand settings for optimum traction and composure. Some journeys need added extras. That’s why Range Rover Evoque’s towing capacity of up to 2000kg on Coupé and Five-door and 1500kg on Convertible is supported by the optional Surround Camera System which includes Tow Assist aiding reversing by predicting the trailer’s direction. 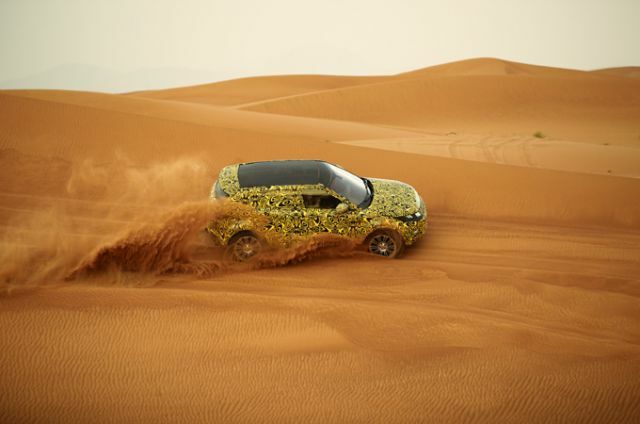 It will be hard to push a Range Rover Evoque harder than we have. 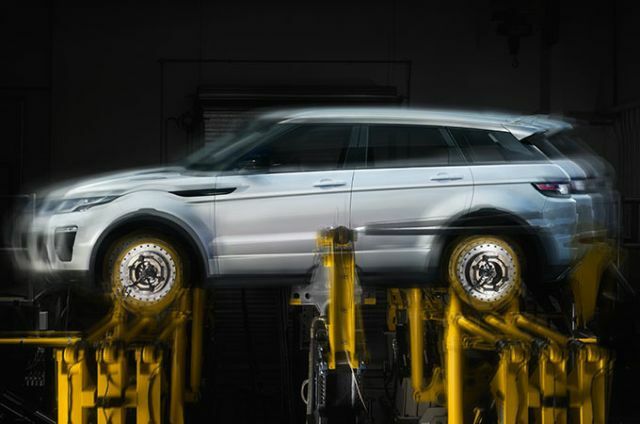 To guarantee an unrivalled breadth of dynamic capability, both on and off-road, Range Rover Evoque has been exposed to ten years of driving pressures in a fraction of the time using our state-of-the-art rig. 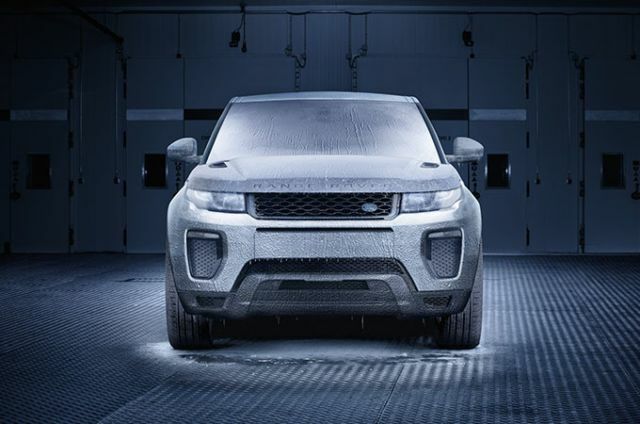 In our climate chambers we can recreate some of the most challenging wind conditions Range Rover Evoque will face. Not just 240km/h blizzard winds, but high ambient temperatures and low airflow situations. Only by pushing all systems to their limits do we develop true reliability. In real world environments and our climate chambers, we freeze vehicles to -40°C and bake them to 50°C. Key functions and systems are then scrutinised to our exacting standards. So even on the most remote mountain or desert, comfort and connection is never far away. From the icy proving grounds of Arjeplog, Sweden, to Dubai’s unforgiving desert sands, we ensure our legendary all-terrain performance is innate in every vehicle. Prototypes are developed across approximately 8.500km of the most demanding off-road routes. The lightweight, compact 9-speed Automatic Transmission provides optimum fuel economy and CO2 emissions, as well as greater control in low-grip conditions or when towing through the specially designed, ultra-low first gear. Specifically designed for transverse applications, it is one of the most efficient and technically advanced ever used in a production vehicle. The higher top gear not only reduces fuel consumption but the lower engine revs improve comfort and reduce noise when cruising at a sustained speed. Whether on or off-road, Torque Vectoring by Braking technology enhances Range Rover Evoque’s agility and stability when cornering. The system constantly balances the distribution of torque between all the wheels to improve grip and steering. 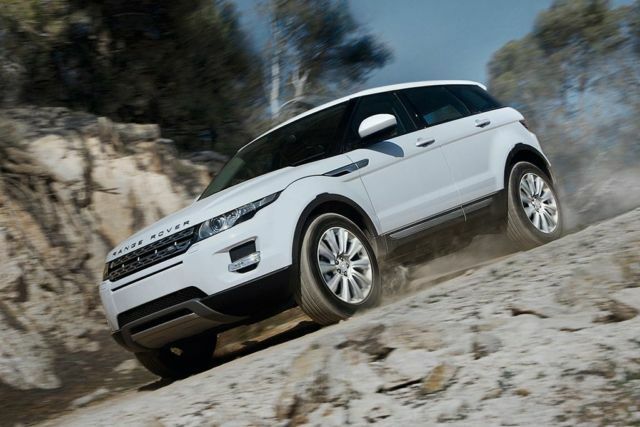 Range Rover Evoque is capable all around town and even in challenging weather conditions. The Adaptive Dynamics system tunes the suspension to deliver a more dynamic driving experience by monitoring the vehicle movements at least 1.000 times per second, reacting to driver and road inputs instantaneously to provide a balanced, flat ride. Active Driveline delivers benefits in both on and off-road situations. By disconnecting drive to the rear wheels when it isn’t needed and seamlessly re-engaging when conditions dictate, the system reduces frictional losses providing maximum 2 Wheel Drive (2WD) fuel economy. When off-road driving, torque to each wheel can be varied according to the available grip. With key weight-saving materials throughout, including a magnesium cross car beam and an aluminium bonnet, Evoque is the lightest Range Rover ever. Even the laminated windscreen is reduced in weight to help improve fuel efficiency and performance. All engines feature intelligent Stop/Start technology that automatically shuts down the engine at rest and starts it again as soon as the brake pedal is released or the clutch pedal is fully pressed on manual transmissions. This helps to reduce fuel consumption and CO2 emissions. 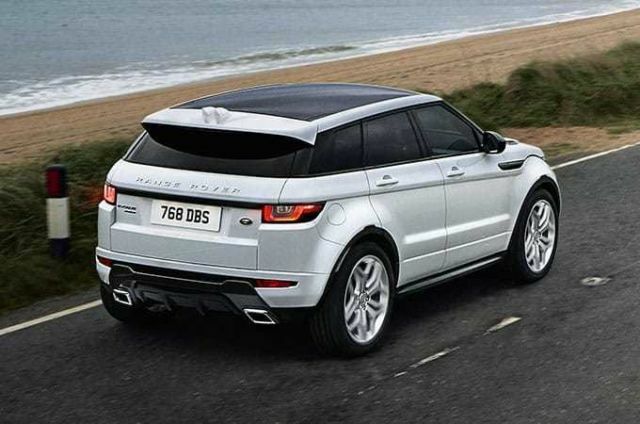 With our E-Capability solution, CO2 can be as low as 109g/km when you choose a Range Rover Evoque eD4 (2WD) Coupé or as low as 125g/km when you choose TD4 (4WD) 150PS manual engine, ensuring your vehicle is as efficient as possible, but still a true Land Rover at heart.